How can I report an ESQCR incident? Sign-up below to receive news and updates on Electrical safety. The health and safety toolbox Do you want guidance on simple precautions to take when working with or near electricity and electrical equipment? Electrical safety site Electricity is a familiar and necessary part of everyday life, but electricity can kill or severely injure people and cause damage to property. 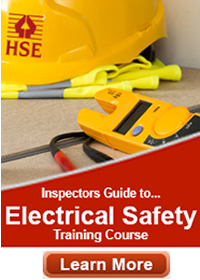 Do you want detailed guidance on working with electricity?